How do I create individual buildings for my multi-building property (campus)? Make sure your property is set up as a multi-building property. You can check on the “Summary” tab for the property. If it is a multi-building property, an “Individual Buildings” box will display on the right side. If the box isn't there, you can edit your property to make it multi-building on the “Details” tab (edit under the Basic Information section). From the “Summary” tab, click “Add a Building” in the “Individual Buildings on this Property” box on the right side. The next page will provide you with the option to add an existing building or create new buildings. A search results page will display. You can select one or more properties to add as buildings to this property. Only buildings that are not multi-building properties are included in the search results. Portfolio Manager only supports properties with one level of hierarchy. Select one or more buildings and click “Add to Property”. The next page lists out the meters for the building(s) selected. Click “Add Property with Selected Meters”. The building(s) will be added to the parent property.You may want to review the total Gross Floor Area (GFA) that you have entered for the parent property to make sure that it is still accurate. You can edit GFA from the “Details” tab. You may also want to review the meters you have entered for the parent property. If you have selected meters from the new child buildings to add to this property's total, be careful that you are not double counting with duplicate meters. Or, you may need to make sure that you have indicated if you are accounting for all of the energy used at this property. If can also create new buildings, complete the section at the bottom of the form. Provide a name, primary function and gross floor area for each new building that you would like to create. You can create multiple buildings by selecting the “Add Another Building” link. For each building that you add, the wizard will loop until all buildings are created. Click “Continue”. The form displayed allows you to enter basic information about the building, including address (which is pre-populated from the parent property). Complete the form, including the questions at the bottom and click “Continue”. The form displayed, allows you to review the basic information and provide use details based on the primary function you selected and your answers to the questions at the bottom of the first form. Complete the use details accordions and click “Add Building”. If you are adding more than one building, the first form will be displayed again as you loop through all of the buildings you named at the beginning of the wizard. The building(s) you have created will be listed underneath of the parent property in the properties list on your “My Portfolio” tab. You may want to review the total Gross Floor Area (GFA) that you have entered for the parent property to make sure that it is still accurate. You can edit GFA from the property’s “Details” tab. You may also want to add meters for your individual buildings and update meter associations for the parent property. 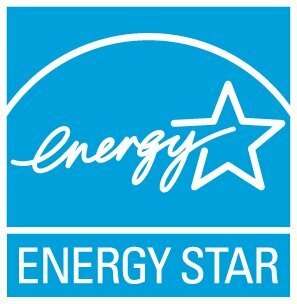 Also, keep in mind that if you enter individual buildings, you will still need to keep use information about the property as a whole up to date in order to receive accurate metrics about your property (and, in some cases, to apply for the ENERGY STAR). My property consists of multiple buildings, only one of which is a Worship facility.